Remington have an outstanding track-record and a strong reputation for value. And the iLight range has loads of online trust. There are several devices in the range and differing availability by country. This review score is for the most recent available models. This review compares and contrasts the models so you see which best suits your needs. And it notes which older models you should disregard too. Keep reading to learn more in the full review including what any better alternative choices are. The different models in the Remington iLight range offer various lamp lifetime. The Ultra gives up to 3 years and the latest IPL6780 gives 5+ years of full body treatments. Older models give less than 1 year. Read the full review to see which to choose. All the basics you expect such as a basic skin tone sensor and facial attachment. It does the job and at higher intensity levels too. Average treatment times so it’s best suited to the face and small areas, or splitting treatments across days. 15+ mins to treat a full leg. A trusted brand but with very slow responses from customer service and only basic information on the models. The IPL6780 has an extended 5 year warranty. Good feedback from the online reviews. Read the full review for more information. Budget range: up to ££ / up to $$$ Prices vary by region and model. Read the full review to learn which is the best value. 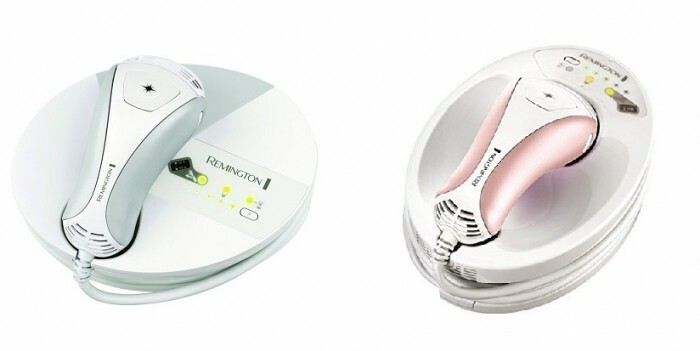 The Remington iLight range use Intense Pulsed Light (IPL) to inhibit hair regrowth. They reduce regrowth speed, density and overall amount of hair. With continued use you’ll stay hair-free. You can use all on your body and face (excluding IPL6250 which is body only). Use it on black, dark brown, brown, dark blonde hair and light to mid brown skin tones (Fitzpatrick skin types I to IV). There are several models in the iLight range. The most recent in the USA is the iLight Ultra and in the UK and Europe it’s the iLight IPL 6780. Both were released in 2016. Other recent models are the iLight IPL6500, IPL6750 and IPL6250. If you live in the USA your choices are the iLight Ultra and the older models iLight Pro and iLight Pro Plus quartz. The models are FDA cleared. There’s a section later in the review that compares them. If you live in the UK and Europe your choices are the iLight IPL6780, IPL6750, IPL6500 and IPL6250. The older models iLight Pro and iLight Pro Plus quartz are still available so check out the comparison section too. These models all have EU CE certification. In Australia you can choose the IPL6500 and in Canada all models are available. All the devices are manufactured by Spectrum Brands Inc, and marketed by Remington. After 3 treatments spaced at 2-week intervals you’ll start to see results (these take 4 weeks to complete). Then, continued weekly use for between 6 to 12 treatments will give even better results (a total of 9 to 15 weeks). Less regular top-up treatments will maintain your smooth results. The online user feedback says the same. Remington are trusted and reputable, and the iLight is a very popular range with strong user feedback. These models are easy and comfortable to use, but application time is slow. The design of the models has remained largely unchanged for years with gradual improvements in the lamp lifetime. It’s important you compare them and check out the alternatives before you buy so you know you’re making the right choice. What’s in this in-depth Remington iLight Ultra review / iLight IPL6780 review? Is the Remington iLight good value for money? What’s the feedback from the online Remington iLight reviews? The most recent models offer good value from the lamp lifetime. Let’s start with them. The IPL6870 and IPL6750 (both available in the UK and Europe) have 150,000 flashes and a 3cm2 flash window. That means you can cover a total body area of 450,000 cm2 . That’s the equivalent of 100 full body applications for full legs, bikini line, tummy, underarms and face. They should last over 5 years of monthly top ups once your start-up phase is done. The ILight Ultra, IPL6500 and IPL6250 have an intriguing “infinity bulb”. It actually has 65,000 flashes, The body attachment is also 3 cm² so you can treat up to a total of 195,000 cm2 of hairy body areas. That’s enough for around 50 full body treatments lasting around 2 to 3 years of monthly top ups. Remington offer an extended 3 year warranty, so you’re covered by this if the flashes stop before the 3 year warranty expires. N.B. In the US 65,000 flash refill cartridges are intermittently available. The latest models available in Europe give the best lamp lifetime value with 100 full body application lasting over 5 years of use. In the USA the best value model is the iLight Ultra – it gives around 50 full body applications to last between 2 and 3 years. Remington offer an extended 2-year warranty for peace of mind too. BEWARE: The older Pro Plus Quartz gives just 1 year of full body treatments and the iLight Pro just 1 full body treatment from each refill. The older iLight Pro and iLight Pro Plus Quartz models are mostly available in the US. They have a smaller 2 cm2 flash window and offer much less value from the lamp. The Pro Plus Quartz has a lamp with 30,000 flashes to cover 60,000 cm2 for 15 full body treatments lasting around 1 year. This model is sold in bundles on Amazon.com with an additional lamp cartridge which doubles the lamp lifetime value. But be aware, they’re more expensive than other brands that offer better lamp lifetime at a lower cost and without the need for replacement cartridges. The iLight Pro (usually copper in colour) comes with refill lamp cartridges of just 1,500 flashes. This covers just 1,200 cm2 of body area, that’s almost 1 full body treatment. Again you can buy the machine and cartridges in bundles, but you’ll need many more replacement cartridges as time goes on. The end cost to you will be much more than the outright cost of an alternative device that gives years of full body treatments straight out of the box. Keep reading to the alternatives section to learn more. Which device for which body areas? 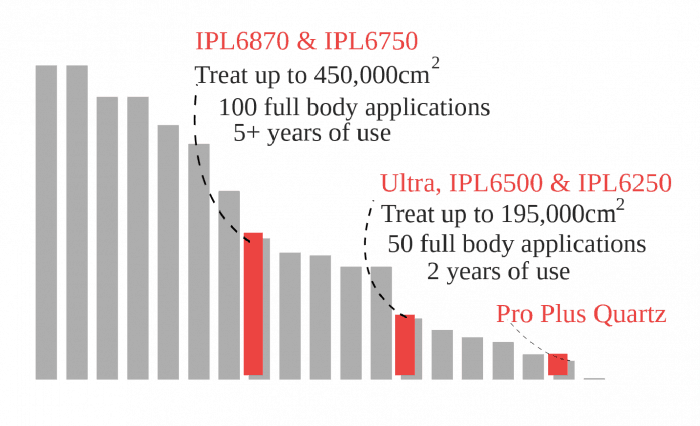 The lamp lifetime value is good enough for full body treatments with the IPL6780 and IPL6750. It’s not bad for full body treatments with the Ultra, IPL6500 and IPL6250. But the speed of application for all may put you off here. Keep reading the full review to learn more. The lamp lifetime value for the Ultra, IPL6500 and IPL6250 means they’re better suited to treating small body areas like your bikini line, tummy, underarms, forearms, and face (Ultra and IPL6500 only for face). Whilst the iLight Pro Plus Quartz and iLight Pro are attractively cheaper than the Ultra model, you’ll need to buy refills so the cost will mount up. I don’t recommend these models because of the poor lamp value, check the alternatives section for other options. Is the iLight Ultra easy to use? All the iLight devices follow the same design with a mains-powered base unit and corded hand-held wand. The cord to the wand is about 1.7 metres, it’s thick and won’t tangle. It wraps around the base unit and the wand sits in a cradle on top, making it neat and easy to store. The ergonomic wand is very easy to handle, light, comfortable, easy to grip and press the flash button. 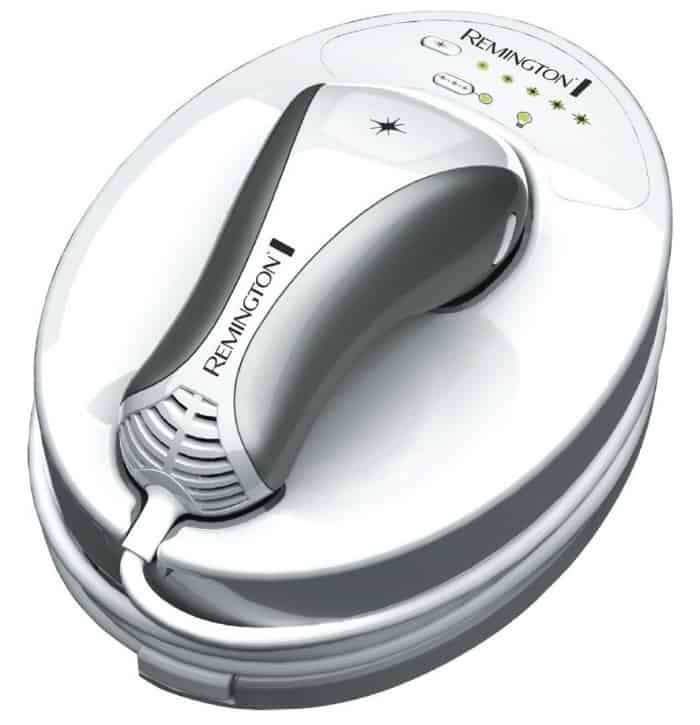 The Remington iLight range all follow the same design with a mains-powered base unit, and small ergonomic handset connected by a thick and flexible cord. Start off by reading the user manual. Double check the list of warnings and safety precautions for important reasons not to use the device. The manual introduces you to the device and how IPL works, how to use it, your skin test, caring for the device, troubleshooting any problems and frequently asked questions. It’s comprehensive but the layout is crowded so it’s not always easy to absorb the key information. When using any home IPL device you must follow the guidelines on tanning and sun exposure to keep your skin safe. That’s because your skin is more at risk to side affects if exposed to the sun before treatments. Side effects include darkening or lightening of the skin, blisters and burns. It’s also more sensitive after your treatments and so more likely to burn in the sun. Remington advise you not to treat naturally or artificially tanned skin or skin recently exposed to the sun. They also say to avoid the sun altogether for 24 hours immediately after your treatment. Then avoid sunbathing and exposure by covering up in the sun or wearing a sunscreen of SPF 30+ on your treated skin for 2 weeks after your treatments. Remington suggest you combine your skin sensitivity test and choosing an intensity level into one. So, there’s no skin tone and recommended intensity level guide in the user manual. This is what you do. After shaving, and checking your skin with the skin tone sensor, simply start at the lowest level (1) and flash your skin. If that’s comfortable move up a level and repeat (on a different spot). Stop if it becomes uncomfortable or painful. Wait for 24 hours and if there’s no reaction continue with your treatment at the highest level that was comfortable. Shave and make sure your treatment area is clean and dry. Set yourself up. You’ll need to be near a power socket. Try using an extension cable so you can choose the most comfortable area, like your bed, or close to a body length mirror. Unwrap the hand-piece and place it back in the base unit cradle. Connect to the mains and turn on the base unit. Press your skin against the skin tone sensor on the top of the base unit to ‘unlock’ it. Press the ‘Energy Level Select’ button and the indicator lights light up as you to move up the levels. Position the hand-piece to get full skin contact. The bulb icon will go green and you’ll hear a ‘chirp’ . Make sure you’re in a well lit room so the flashes don’t seem overly bright. You don’t need goggles as the flashes won’t harm your eyes, but do try to look away from each flash. When the iLight powers up you’ll hear the fans inside it whirring to keep it cool. Device controls (from bottom right clockwise): skin tone sensor window use to unlock the device, bulb status indicator shows yellow when 150 flashes left and flashes when empty, cool down indicator light, Energy level select button press to scroll through the levels shown by the star-light indicators. All models have a skin tone sensor built into the base. To unlock the device you must cover the sensor with skin in the suitable range. It won’t power on otherwise. Although you can use the skin tone sensor to check various parts of your body, it’s a bit awkward sometimes. That’s because you often need to position the sensor by picking up the entire base unit! A sensor in the hand-piece would be much simpler to use. There are also skin contact sensors at each side of the flash window. Both must be in contact with your skin before it will flash. This design protects your eyes by preventing any accidental flashes into the air. The iLight have 5 energy levels (1 is low). The higher energy levels give the best results, so Remington recommends that you select the highest that doesn’t cause you discomfort. The iLight also have the 2 standard treatment modes suited to treating different body areas. Single Flash: Position the window, press and release the flash button. Re-position and repeat. This best for small or uneven areas. Multi Flash: Keep the button pressed and after each flash, slide the device over your skin to the next position. Wait for the flash and repeat. This is more comfortable for treating larger more even surfaces. The Ultra, ILP6780, IPL6750, IPL6500 and IPL6250 all have a 3 cm² body attachment suitable for body areas below the neck. They also come with a smaller 2 cm² facial attachment, excluding the IPL6250 which is suitable for body only treatments. The facial attachment has a special filter making it safe for your face. And because it’s smaller it’s easier to get full contact on areas like the chin, upper lip. You can use it on other uneven areas too like toes, knees and ankles. The IPL6750 also comes with a small 2 cm² precision bikini attachment. It’s smaller to get better contact on the skin in this area but doesn’t have an additional filter to better target the stubborn hair in this area. The Ultra, IPL6500 IPL6780 and IPL6750 have a 2cm2 facial attachment. The IPL6750 also has a 2cm2 precision bikini attachment. The IPL6250 has a single 3cm2 body attachment so it’s not suitable for facial treatments. The older models iLight Pro Plus Quartz and iLight Pro have just one 2 cm² flash window that’s suitable to use on the body from the neck down. The shape of the wand does cause a few problems however. You can’t see the treatment window clearly, so it’s difficult to gauge if you are lining up the flashes close enough to get good coverage. The wand can also get quite hot and you may need to stop for a bit to let it cool. This is only really an issue if you are using it for a while treating large areas like legs, or treating your full body in one sitting. You can try splitting your treatments into multiple sessions to help with this. It will also make the treatments more comfortable and less tiresome, because the treatment times are not the fastest. So how long will they take? The Remington iLight devices have a 3cm2 treatment window and flash every 3 seconds, so you can treat a pair of underarms (about 120cm2) in around 2 minutes. 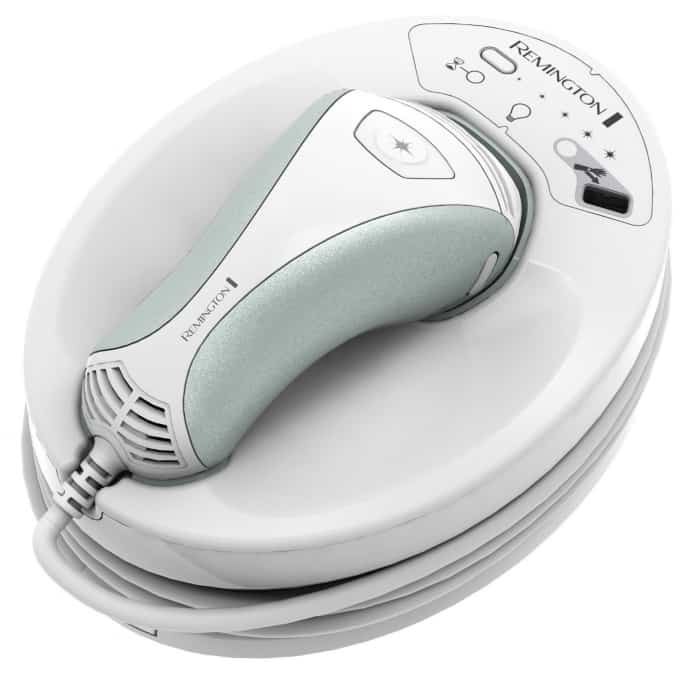 The Remington iLight devices with a 3 cm2 treatment window flash every 3 seconds, so you can treat a pair of armpits (about 120 cm2) in around 2 minutes. One reviewer noted it took 25 minutes to treat both their legs, and Remington say you can treat a full leg in 15 minutes, so this sounds about right. Treatments are quick on small areas. But if you want something that’s faster and for larger areas, keep reading to my suggested alternatives. The iLight Pro Plus Quartz and iLight Pro have a 2 cm2 flash window and they flash every 2 seconds, so it takes the same 2:00 minutes to treat a pair of underarms (120 cm2). TIP: use the iLight devices for smaller areas like your bikini line, tummy, underarms, forearms and face. It’s quick enough to cover these areas without being tiresome or uncomfortable. Or split full body treatments into sessions on different says. 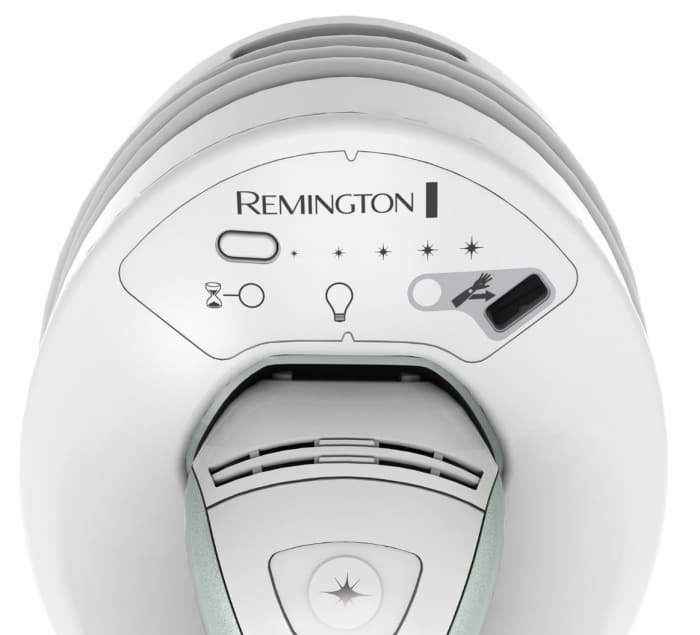 In the UK Remington also offer an extended online warranty of 3 years, and 5 years for the IPL6780 (the standard warranty is 2 years). You must register for this online within 28 days of purchase. Please check this with Remington in your country. That’s the longest warranty of all the devices we’ve reviewed and gives us great confidence in the quality of the devices and a minimum time the flashes will last. What do the online Remington iLight Ultra reviews say? From all of the collated online Remington iLight IPL6500 reviews, IPL6250 and Ultra reviews it’s a very respectable 3.9 stars. 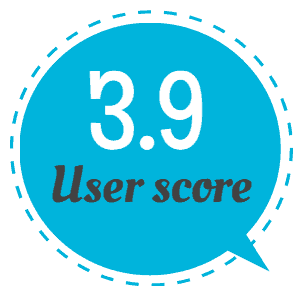 A few low scores come from reviewers who had faulty devices, or who didn’t like it but gave no reason. Just over a handful hadn’t seen the results they expected. Some didn’t say how long they’d used it, whilst the rest had for between 2 to 6 months. Several reviewers say the treatments are slow and tedious. The odd placement of the skin tone sensor is mentioned too. Just a few reviewers found the treatments too painful, and only one had difficulty positioning the wand. Loads of the reviewers say that the iLight is very easy to use. They found it quick to get started and the hand-piece comfortable to hold and easy to position. The mains power-cord is long so reviewers easily found a comfortable position to work. No one had any issues or felt any movement restrictions with the length of the hand-piece cord either. The reviewers also reported great results. Remington recommends a minimum of 3 fortnightly treatments (taking 4 weeks). The user manual suggests a further 6 to 12 weekly treatments to get “good results”. So that’s anything up to around 3 months. The user manuals say “top-up treatments will provide even better results”. Several reviewers did see great results after only the first 3 treatments. Others needed longer to see results but do reassure that “dedication, patience and time” will give you results. The reviews say hair regrowth is softer, lighter, and “grows back MUCH slower”. The patchy regrowth becomes less and less as the treatments continue. One loved that they no longer suffered stubbly regrowth. And because the regrowth is less noticeable they went from shaving daily to once every 1 or 2 weeks. That’s a great improvement! Other users reported that their hair simply didn’t regrow at all. Which iLight should I choose? The differences between the models are the lamp lifetime value, flash windows each comes with and their price. It’s summed up in the table below. Then keep reading to my summary of which of the Remington range is best based on country availability. In the UK and Europe the price of the IPL6250 is low. Therefore I think it’s a great choice if you want to treat smaller body areas (excluding the face). The IPL6500 is an ok choice for treating your face and smaller areas, but check the price. If it’s similar to the IPL6780 and IPL6750 choose one of them. The IPL6780 and IPL6750 offer the best value for full body treatments and are suitable for body and face. The 5 year warranty with the IPL6780 is best value so choose that over the bikini attachment with the IPL6750. The iLight IPL6780 and IPL6750 are the best of the range if you live in the UK, Europe and Canada, available at similar prices. They offer 5+ years of full body treatments and are suitable for body and face. The IPL6750 has an additional bikini attachment, but it targets the hair exactly as the body attachment does. The IPL6780 comes with a 5 year warranty from Remington. This is the longest of all devices and so I think it’s the best choice of the two. The iLight Ultra is the best for full body treatments of those available in the USA. It’s more expensive initially, but will last you more than double that of the Pro Plus Quartz. And the ongoing cost of the refill cartridges with the iLight Pro means choosing this will cost you more in the long run. The iLight Ultra is the best of the range available in the USA. It’s more cost effective than the other refill models over the long term, to gain and maintain your smooth, hair-free results. Be sure to check the alternatives section below for further options at similar prices. The iLight Pro Plus Quartz is an ok choice if you want to treat your face and some smaller areas. Avoid the iLight Pro (copper version). It’s the cheapest initially but the ongoing cost of refill cartridges is expensive. You’d need to buy 20 x 1,500 flash refills to get the same lamp lifetime value as the Pro Plus quartz. At the current price of $15.99 that’ll cost you $319.80 in addition to the initial cost of the device. There’s unfortunately less choice here. Just the iLight IPL6500. It’s fine for your face and small areas but better value choices are available for full body treatments. Keep reading to see what alternative choices are available and why you might choose them. There are a few alternatives available to you. I’ve selected devices with faster speed of application and advanced features making them better suited to full body treatments. They’ve a similar price too based on country of availability. The alternatives widely available in most countries are the Braun / Gillette Venus Silk Expert 5 and Smoothskin Bare. The Braun / Gillette Venus Silk expert 5 IPL is a fantastic premium alternative available worldwide. It’s especially great value for you if you live in the USA and Canada because it sells for around the same price (or less) as the iLight Ultra. It’ expensive in Australia though, so keep reading for other alternatives there. The Braun / Gillette Venus Silk Expert 5 is a fantastic premium alternative to the Remington iLight range. Particularly if you live in the USA and Canada because it’s the same price (or less) than the iLight Ultra. Offers are common in the UK and Europe too. It’s safe for all but the darkest skin tones (I to V) and has an advanced skin tone sensor. It has a modern, ergonomic hand-held design and is mains-powered. And it’s more advanced than the iLight. Firstly because you’ll get a massive 15+ years of full body treatments. Secondly it has a premium skin tone sensor. It’s foolproof because it checks then selects the optimum intensity level for your skin, and before every flash. It’s also much faster than the iLight. You can finish a full leg in under 10 mins vs 15+ with the iLight, so it’s a great choice for treating your full body in one session. It’s rated highly in the online feedback. Reviewers love the fast ‘plug in and go’ simplicity. If it’s in your budget I strongly recommend the Braun / Gillette Venus Silk Expert 5 – it’s my Best Buy for fast, safe and simple treatments. TIP: The Smoothskin Gold is an almost identical device and is widely available too. I rate it highly so check Where to buy in the full review to see which is the best deal. And then there’s the new Smoothskin Bare. It’s available at a similar price in the USA and Canada. In Australia, Europe and the UK it costs less than most of the iLight range. The Smoothskin Bare is a great value alternative at a similar or lower cost than the iLight range. 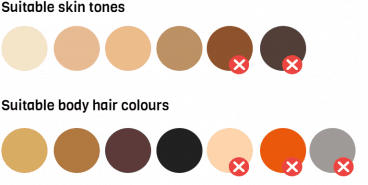 You can use it on all but the darkest skin tones too (tones I to V). It’s ultrafast – from 4 mins a full leg vs 15+ mins with the iLight. Online reviewers love it. It’s a seriously good alternative. 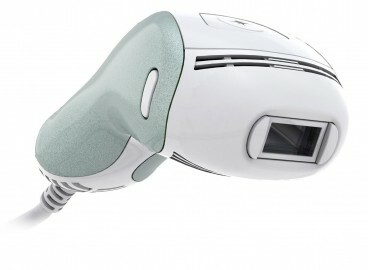 It’s hailed as a game-changer in home IPL hair removal. That’s because it gives ultrafast treatments covering a full leg in around 4 mins. That smashes the competition. And it has unlimited flashes so you’ll never run out. It’s so simple to use because it has one lower intensity level that’s suitable for Fitzpatrick skin tones I to V. You just ‘plug in and go’ and it takes no time at all. It’s small, compact and very well made and it comes with a 90-day money back guarantee period. It’s ideal if you’re busy (or lazy) and struggle to find the time for your treatments. The Smoothskin Bare is my recommended Best Buy for ultrafast treatments. The Remington iLight vs Silk Expert 5 IPL vs Smoothskin Bare comparison table below lets you compare the full specifications. I also recommend the Lumea Advanced SC1999 if you live in Australia because it’s a higher spec device at a similar price to the iLight IPL6500AU. The Lumea Advanced is available at a similar price as the iLight IPL6500AU in Australia. It’s safe for the same skin tone range I to IV. The Lumea Advanced is higher spec with an intuitive gun-shape and specialist attachments for your face and bikini line. It’s a seriously underrated, quality build device you can often pick it up at a similar price to the IPL6500AU. This mains-powered, ergonomic gun-shape design comes with a smaller facial attachment. It has a basic skin tone sensor, good speed of application and more treatments than you’ll ever need lasting 15+ years of monthly use. Online feedback loves it and I love that Philips offer a 100 day money back guarantee period too. Very slow responses from Remington customer support. It took them 5 weeks to answer our questions. Should I buy the Remington iLight? The design, performance and results of the iLight range are tried, tested and true. But not all the models are equal. The IPL6780 is a good value choice, and because of the application speed it’s especially suited to treating small areas and the face. In the UK, Europe and Canada the low price is attractive and good value because you’ll get at least 5 years worth of full body treatments covered by the extended warranty. I love this – it’s the longest warranty of all the devices. But check the alternatives above because they offer some attractive benefits at similar, value prices. The IPL6250 is a good low-cost option with good feedback for treating smaller body areas but not your face. It’s available in the UK, Europe and Canada. In the USA the iLight Ultra, and in Australia the IPL6500/AU are good choices for treating your face and smaller body areas. The alternatives section above suggests better and faster options for treating your full body. 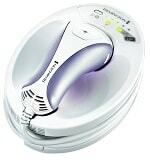 Remington iLight Ultra IPL6500QFB, for body & face. Best value choice in USA. 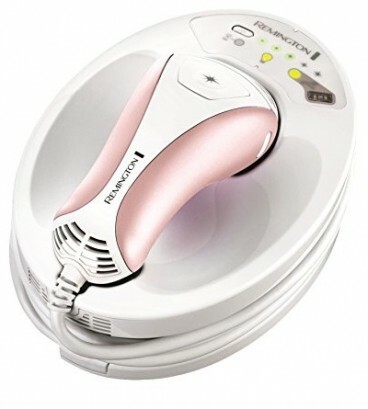 Remington iLight Essential IPL6250, for body only. 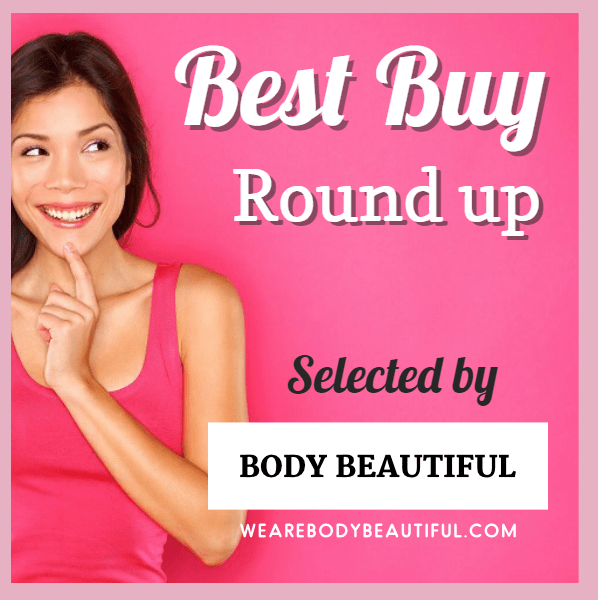 Great value choice for small body only areas in UK, Europe and Canada. Buy from CurrentBody.com: UK & International orders. Search "Remington iLight". Check prices of the older Remington iLight models using the links below. These models are readily available in the USA but offer much less value for money than the Remington iLight Ultra.